A Vancouver-based legal aid group is arguing Joey Toutsaint needs to be moved out of the Saskatchewan Penitentiary and into the Saskatoon Regional Psychiatric Centre immediately, "to save him from dying." Advocates fighting for the transfer of a Dene man from a federal prison to a psychiatric facility had their day in Federal Court in Vancouver on Wednesday. 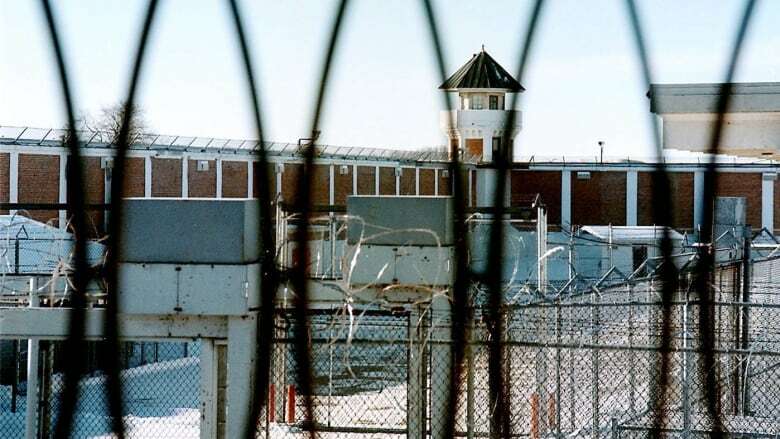 Prisoners' Legal Services, a Vancouver-based legal aid group, is arguing Joey Toutsaint needs to be moved out of the Saskatchewan Penitentiary and into the Saskatoon Regional Psychiatric Centre immediately, "to save him from dying." Lawyers from the Department of Justice are opposing such an order from the court, saying decisions about where Toutsaint is held should be up to the health care professionals of the Correctional Service of Canada (CSC) currently working with him in the prison. "These people, they have testified about what they're doing and I submit they're doing the best they can and it would be wrong to move Mr. Toutsaint abruptly," said department of justice lawyer Stephen McLachlin. Toutsaint, who is in his early 30s, has been convicted of more than 70 criminal offences, of which nearly 30 are for violent, sexual, threatening or weapons-related offences. He is currently serving an indeterminate prison sentence after being designated a dangerous offender. Court documents say many of his offences have involved justice workers, mostly guards at the various correctional facilities where he has been incarcerated. According to court documents, Toutsaint has spent the bulk of his time in federal prison in segregation, both voluntary and involuntary. Court documents state Toutsaint has "a sad history." Initially raised by his grandfather in his home community of Black Lake, Sask., Toutsaint went to live with his mother after his grandfather died. A month after he went to live with her, his mother was hit by a car and died. "Through no real fault of his own, his path in life was laid down many years ago with the death of his primary caregiver, his grandfather, and the subsequent and most tragic death of his mother," states a 2014 court document. Prisoners' Legal Services is representing Toutsaint in a complaint to the Canadian Human Rights Commission based on the conditions in which he's been incarcerated. His complaint alleges he's been discriminated against in prison on the basis of a mental disability and his Indigenous identity. The complaint, filed in May 2018, has yet to be resolved. In February, Toutsaint's advocates also turned to the Federal Court with an injunction request stating Toutsaint was self-harming on a regular basis and thinking of suicide "almost every day" in segregation. Since February the court has ordered temporary changes to the way Toutsaint is being held in custody. But his advocates are concerned with the way CSC has responded to those orders to date. "I do think that a very clear order is necessary based on the way that his sentence has been managed in the past," said his lawyer Deborah Charles. She said that even after the court ordered for Toutsaint to receive three hours of "personal contact medical therapy" every day, Toutsaint was receiving that contact through his cell door and that doesn't meet the standard for "meaningful human contact." Charles said what he really needs is to be transferred immediately to the Regional Psychiatric Centre in Saskatoon, a mental health facility operated by CSC. Once there they want him to be provided with regular, intensive one-on-one counselling and regular access to cultural practices like sweats and pipe ceremonies. His advocates maintain if he is not moved at the earliest possible date, Toutsaint is at a high risk of "life-threatening self harm and even death." The department of justice's lawyer said in court that Toutsaint's situation is complex and that he wasn't there to dismiss the inmate's history of abuse and other struggles. "He is an inmate and a mental health patient," McLachlin told the court. "I'm not saying it's all roses… it absolutely is not," he said. McLachlin argued how Toutsaint is held in custody should be up to the professionals within CSC who are already working with him and that the judge should defer to their expertise and not override it with a court order. McLachlin also said Toutsaint has been receiving cultural guidance from a Dene Elder while in the Saskatchewan Penitentiary, who has been providing access to sweats and pipe ceremonies. "The government's evidence is that it's doing its best," said McLachlin, adding that the team of health professionals working with Toutsaint say it would be "detrimental" to move him right now. "He's not ready… The move that he wants could come, if the conditions were appropriate," said McLachlin. The judge has reserved his decision until a later date. Toutsaint remains in isolation in a health unit at the Saskatchewan Penitentiary.